… is without a doubt the best film I’ve seen in a very long time. I should point out that I hate football with an intensity that comes close to obsession, but it didn’t seem to make a blind bit of difference to my enjoyment of seeing girls kicking balls around (and it’s nothing to do with the cute coach!). If you haven’t seen it already then I suggest you do so IMMEDIATELY. Realism, cultural divides, racial and sexual stereotyping, family loyalty, and an all-pervading feel-good factor are what make it shine. It really made my day, and that’s a relief as it’s not been going so well for me recently. The problem is that I’m now a good two weeks behind my schedule, and am feeling increasingly frustrated at the slow pace of progress. What makes it worse is that I can blame nobody but myself and my general lack of organisation. The only thing stopping Odyssey being launched now is the seemingly trivial matter of a bracket on which to mount my wind generator, which arrived on Monday. It’s going to live on the mizzen mast and I hadn’t thought about exactly how it was going to be attached. The result is that I have to wait until the welders in the yard have time to do it, or I find someone else to make a bracket. Either way it means the middle of next week at the earliest, and this is compounded by the fact that I have to move out of my lovely water-front apartment on Tuesday morning as the complex has been sold. I had planned to have Odyssey parked outside by now so I could set off next week, but that’s not going to happen now so I’ll be homeless and boatless at the same time. Not to mention hopelessly broke as I’m now ridiculously over budget and have resorted to rummaging down the back of the sofa for loose change. Never mind, there’s a whole weekend of clubbing to distract me before my eviction, and to cheer myself up I’ve been thinking of some of the things I like about being here in Florida. The first thing that comes to mind is the railway line, which is a kind of love/hate scenario. My first visit to America was in 1993 when I stayed with my father in Atlanta, and one of the first things I heard after going to bed on the night of my arrival was the trains passing by. They have a wonderful mournful sound to their hooter here, and they like to hoot it very often indeed, echoing through suburbia in the still of the night. 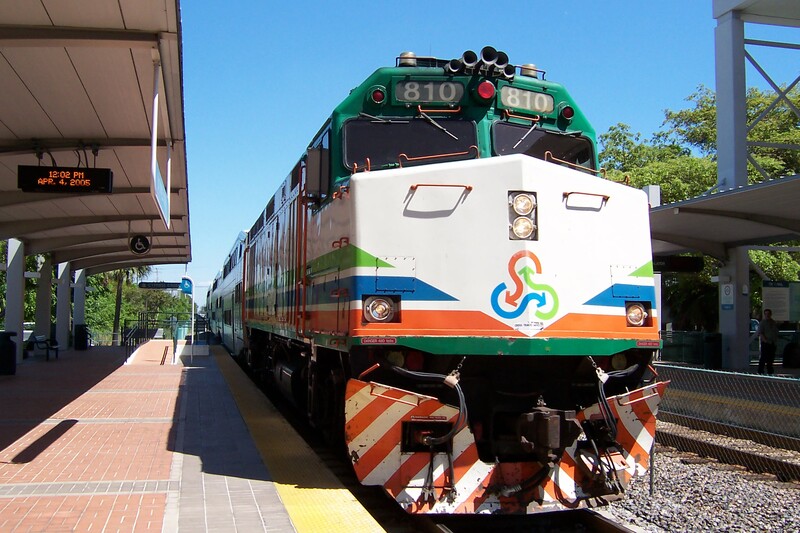 Fort Lauderdale has a typical American grid system to the roads, with the main freight rail line running straight down through the city and intersecting the roads with a series of level crossings. I’ve realised that each train hoots as it approaches every crossing, so you can track its progress through the city. It’s a wonderful sound and as I lie there in the heat of the sub-tropical summer nights I revel in its familiar and comforting sound. The hate side of things is that American freight trains are very long indeed, and travel at approximately 15mph. This means that if I happen to be stuck at a level crossing as one passes then it can be a tedious affair to say the least. That’s assuming I bother to stop, which I didn’t the first time I crossed the tracks. I wondered what the red flashing lights were and soon realised as the barriers came down just as I shot through. Ooops! Anyway, on Tuesday I was in a bit of a strop as I kept forgetting things and had to drive back to the flat 3 times (phone, iPod, wallet etc) and the final straw was when a train came and I got stuck at a level crossing. I counted 57 freight cars passing, then waited for the barriers to lift. They didn’t, and a minute later the same 57 cars came past again but backwards, and very slowly indeed. Grrrrr! 22 minutes it took – I counted. PS. I nearly ran over another iguana today, but it was just a bit too quick for me.